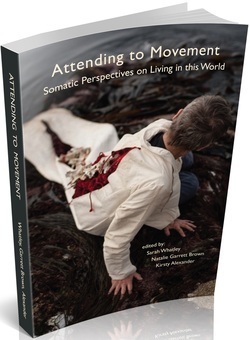 Nicole Harbonnier-Topin has been, since 2004, Professor in Movement Studies and, between 2009 and 2014, Director of the Graduates’ Programs in Dance and in Somatic Education in the Dance Department of the University of Quebec in Montreal (UQAM). She has a doctoral degree in Science Education (2009, Conservatoire National des Arts et Métiers, Paris). She is certified in Functional Analysis of the Dancing Body (Analyse fonctionnelle du corps dans le mouvement dansé AFCMD - Paris, 1997). She was a dance performer (1982-2004), a contemporary dance teacher (1985-2004) and a dance teacher’s instructor in the field of AFCMD at several institutions in France (1997-2004), mainly in the Centre National de la Danse in Lyon.